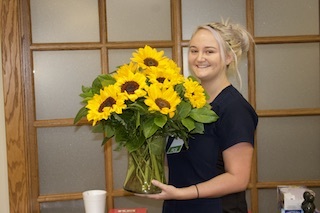 Stacey was nominated by family members for her attentive and compassionate care. 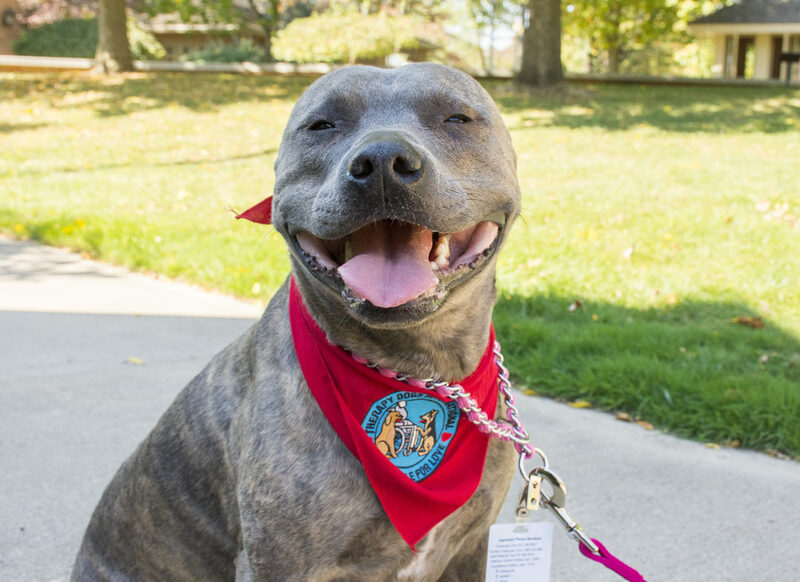 “Stacey stayed with us during those final hours offering comfort above and beyond to us and her patient. 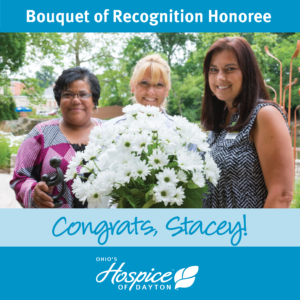 She knew exactly what to say to help my grandma and our family through this terrible time…thank you from the bottom of our hearts for helping us to comfortably say goodbye.” Thank you, Stacey, for bringing your heart to our hospice mission. 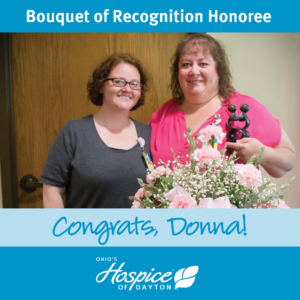 “Donna is not just a Patient Services Coordinator, she is the heart and soul of the triage department in the evenings,” her Carnation nomination reads. 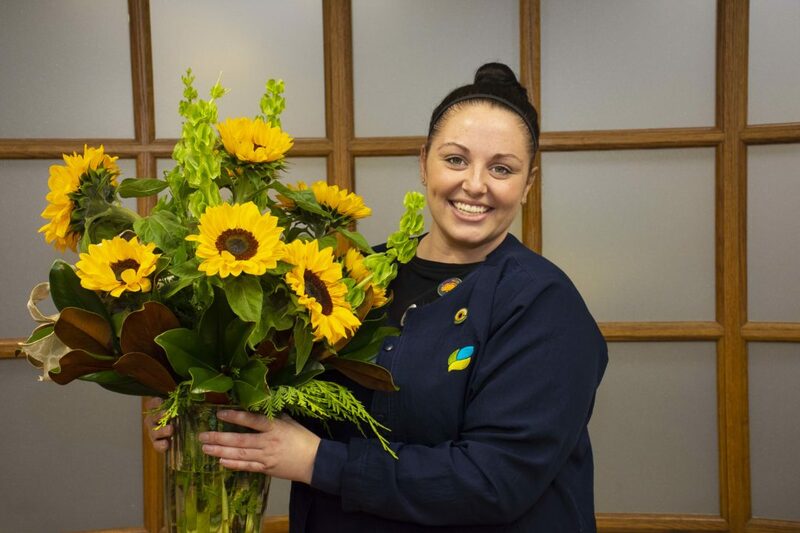 “She is loved by all and is a very important member of the team and a asset of incomparable importance to this team.” Donna was honored for serving as a valuable resource to other staff and for her ability to diffuse difficult situations with a calm and reassuring manner. 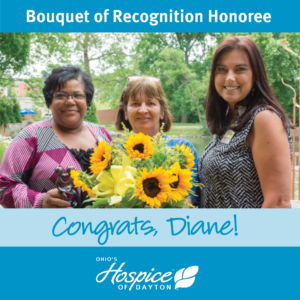 “She is an excellent teacher and mentor…She is always respectful and professional… She is more than deserving of this award.” We join in thanking Donna for her service and contribution to our mission. 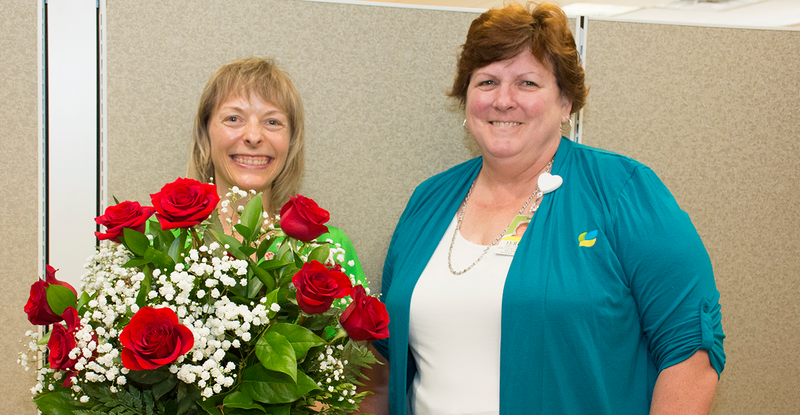 Occupational Therapist Angelene Volpatti was presented with the Tulip Award today in gratitude for the powerful impact she has had on people’s lives. Her contribution to quality of life for multiple patients was cited in the nomination. A 54-year old with a terminal diagnosis of metastatic breast cancer struggled greatly with mobility…she experienced excruciating pain in her arm, and as a result, she only moved when absolutely necessary. Angeline provided the patient with a sling and a lift chair, enabling the patient to comfortably transfer and maintain some independence. Both the patient and her husband expressed gratitude for Angelene’s help, “For the first time in many, many months, I can stand up and move without having that excruciating pain. 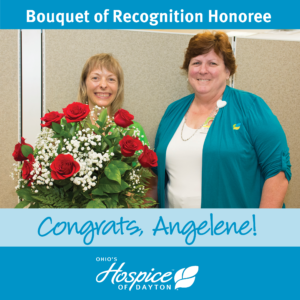 I cannot tell you the impact it has had on me.” Thank you, Angelene, for everything that you do for our patients, families, caregivers, facilities and staff! You are much appreciated.